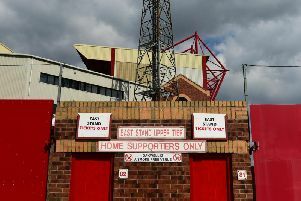 Fleetwood Town splashed out the fifth highest sum on agents’ fees in the whole of League One from February 2018 to January 2019. Figures released by the FA say Town spent £183,356 on agents’ fees. Only Sunderland (£2,873,033), Barnsley (£428,580), Charlton (£205,095) and Portsmouth (£183,790) paid out more than Town in that period. According to the FA figures Town splashed that sum on 16 transactions which was an increase from £135,372 the previous year. Five of those transactions involved contract extensions with the contracts of Ashley Hunter, Harrison Biggins, Nathan Sheron, Jack Sowerby and Ashley Eastham all seeing Town pay money. Six of those fees were for permanent signings, namely Eddie Clarke, Chris Long, Dean Marney, Paul Jones, Harvey Saunders and MacAuley Southam-Hales. The summer loan signings and subsequent January extensions saw Fleetwood pay agents’ fees on four occasions for two full-backs, Leeds United’s Lewie Coyle and Norwich City’s James Husband.